Are ticks active in the winter? Can ticks jump or fly? These answers and more may surprise you. Join Liz Gleim, a tick ecologist, and learn about some common misconceptions about ticks, what a “year in the life of a tick” really looks like, and some of the best ways to protect yourself from ticks and tick-borne disease. In addition to this, you’ll learn about the most common tick species here in southwestern Virginia and talk about Lyme disease ecology in this region as well as some other tick-borne diseases that people may not know as much about. Although not originally from the area, Liz attended college here in Roanoke at Hollins University where she majored in Biology and minored in Chemistry. After graduation, Liz worked at the Centers for Disease Control and Prevention (CDC) in Atlanta in the Division of Parasitic Diseases. She then attended graduate school at the Warnell School of Forestry & Natural Resources at the University of Georgia (UGA) where she got her PhD in Wildlife Ecology & Management with a focus on wildlife disease ecology. Liz’s graduate work focused on the impacts of long-term prescribed fire on ticks and tick-borne diseases. She spent two years at the Joseph W. Jones Ecological Research Center at Ichauway (pronounced “itch-away”), a 30,000 acre long-leaf pine plantation and research site. 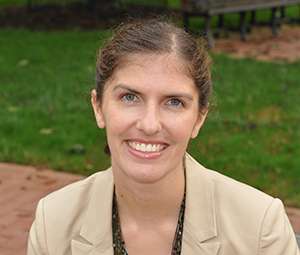 After UGA, Liz spent 3.5 years in a visiting faculty position at Oxford College of Emory University and now is an assistant professor of Biology and Environmental Science at Hollins University here in Roanoke where she teaches courses like ecology, environmental science, and plant biology to name a few. Currently her research more broadly focuses on wildlife and forest ecology with the primary focus of her research continuing to focus on ticks and tick-borne disease ecology with much of that current work trying to understand basic tick & Lyme disease ecology in this region. She’s also examining the invasive emerald ash borer and its impacts on the region as well.